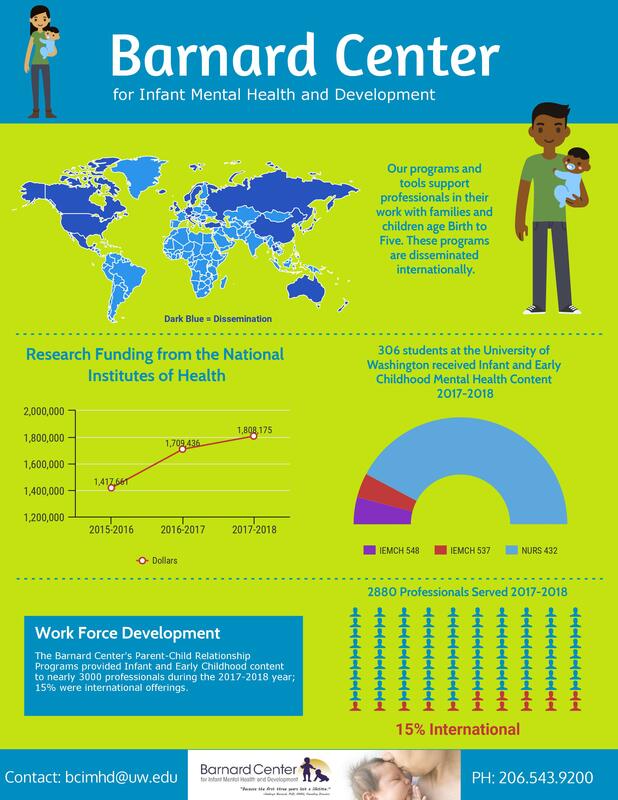 The Barnard Center collaborates with the Washington Association for Infant Mental Health (WA-AIMH) to offer a variety of training events to meet the need of professionals from all fields who are seeking Infant Mental Health Endorsement®. Endorsement is a formal credentialing system that verifies the expertise of professionals within the field of infant and early childhood mental health (IECMH) work. This system organizes a set of standardized competencies that professionals must meet in order to become endorsed, ensuring that families receive high-quality, specialized services and that providers are recognized for their advanced expertise. Washington State is one of 23 states who are adopting the Endorsement® to grow their workforce in the rapidly expanding infant and early childhood mental health field in order to more effectively serve vulnerable children and their families.